Courtesy of Nissin Food Products Co.
What's more romantic than instant ramen? If you and your significant other are a little bit more TV dinner and a movie-on-demand than champagne, a dozen red roses, and a string quartet, then this Valentine's Day bouquet might just be for you. Nissin, the company behind Cup Noodles, is now selling instant ramen bouquets for Valentine's Day in Japan. There is, of course, a bouquet of the original Cup Noodle, since Cup Noodle is Nissin's best-selling instant ramen. The bouquet comes with 7 cups wrapped in decorative red and white paper that says "Noodle Bouquet" all over it and tied with a golden ribbon. Plus, the noodle cups are also placed in cones of paper made to look like rose stems. 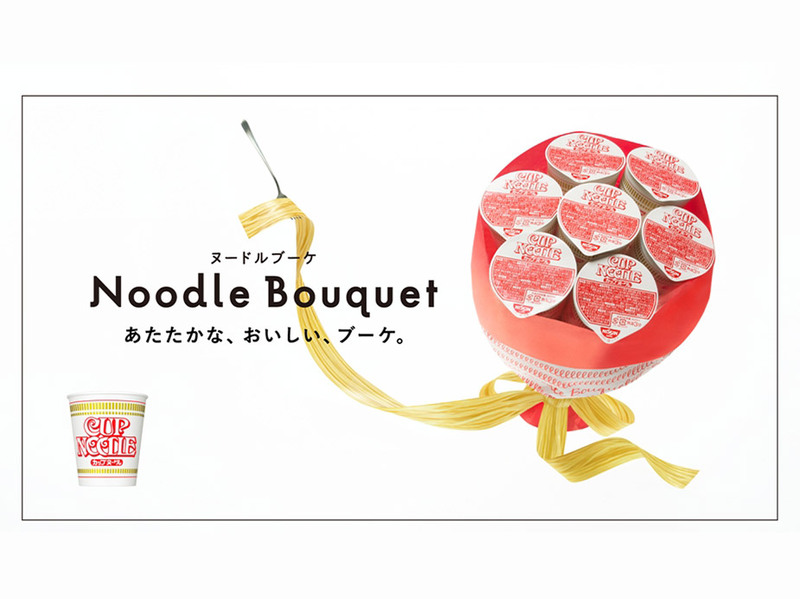 If a bouquet of Cup Noodles still isn't a personal enough Valentine's gift, you can also get one of the other flavors. 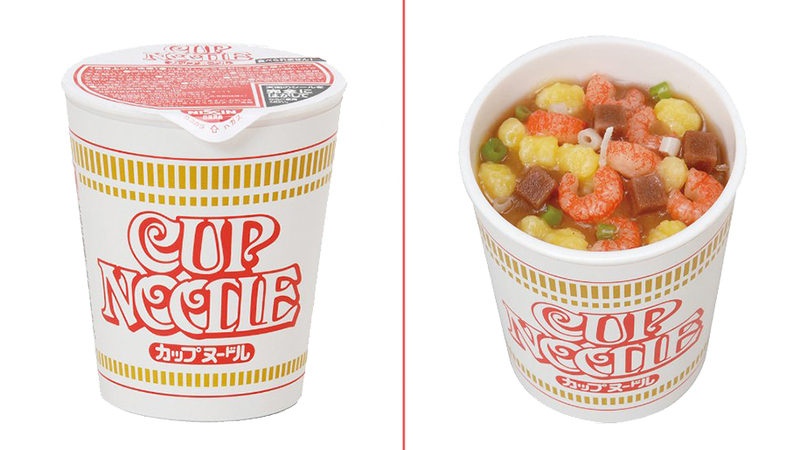 There's a Seafood Cup Noodle option, a Curry Cup Noodle option, or a variety pack option, which includes classic Cup Noodle, Seafood Cup Noodle, Curry Cup Noodle, Cheese Curry Cup Noodle, Chili Tomato Cup Noodle, Tom Yum Cup Noodle, and Sio (salt) Cup Noodle. The bouquets cost 2,980 Japanese Yen (a little over US$27) at Nissin's site. Unfortunately for ramen lovers (lovers of ramen and lovers who, together, enjoy ramen), they only ship within Japan. You could try to track down some way to get them to ship it to you, but hey, Cup Noodles aren't exactly expensive. At this point, we'd suggest you just go to a nearby craft supply store, buy some green paper for the stems, buy some decorative paper to wrap the bouquet, buy a big ribbon, and then pop over to the supermarket to get a pack of ramen cups. 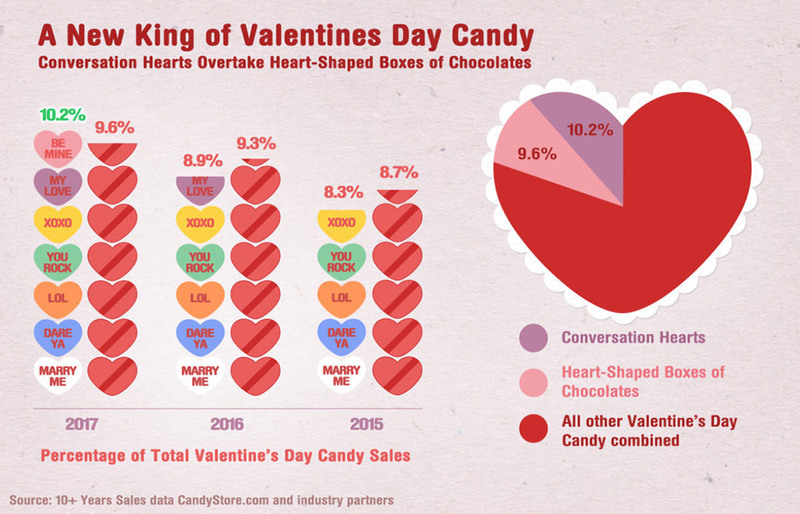 Of course, we'd also suggest you actually cook a lovely Valentine's Day dinner for your boo, but we're not judging.